BP1548 - Arkeo Obskura - Horror Skirmish. You and your friends are the only ones that can stop these terrible plans… Will you succeed or will you die trying? 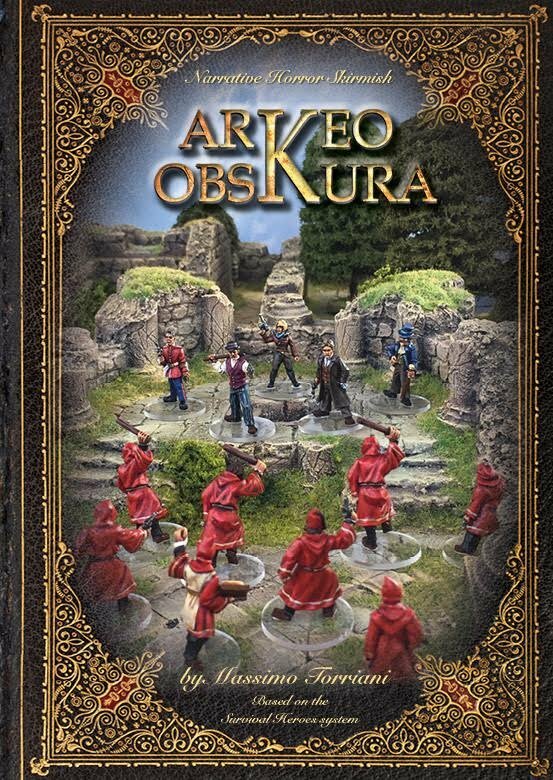 In Arkeo Obskura a handful of heroes (from the Modern or Victorian eras or even from the early 1900s) face incredible adventures populated by zombies, witches, mummies, ghosts, the forgotten, aliens... The game system is easy to lean and intuitive and you don’t need a GamesMaster. You can play solitaire or with friends in cooperative or competitive mode. You will see your characters grow, buying new characteristics and equipment from one game to the next. This book contains two adventures and others can be downloaded free from Kev Dallimores magazine website. 72 pages + sheet counters.